In a statement issued over the weekend, UNRWA Commissioner-General Pierre Krahenbühl marked 50 years of occupation of the Palestinian territory – the West Bank, including East Jerusalem, and Gaza – and called on the international community to take action. 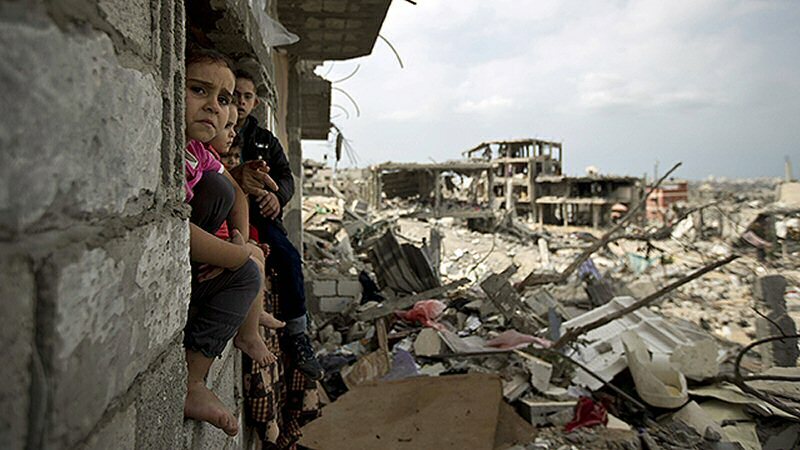 The statement said that the 2014 conflict had a devastating psychosocial impact on individuals and communities in Gaza, adding to the effect already felt from almost ten years of blockade and previous conflicts. “The shock of losing a home and family members, and returning to neighborhoods to find them destroyed, erodes every sense of certainty and hope in the future”. The organization added, according to Al Ray. The unprecedented human, social and physical devastation during the 2014 conflict had a particular impact on children, and many remain in need of psycho-social support. According to the UNRWA Community Mental Health Programme (CMHP), children exposed to violence often express a loss of trust in others. Other common symptoms are eating disorders, nightmares or intense fear. UNRWA said that CMHP counsellors play a critical role in supporting Palestine refugees of all ages. The CMHP currently maintains a network of almost 280 counsellors and 80 psychosocial facilitators in UNRWA schools supported by a team of supervisors and assistant supervisors, as well as a Senior Mental Health and Psycho-Social Support (MHPSS) Specialist. The programme also employs 23 counsellors and 5 legal advisors at health centres across Gaza. They collectively support children and adults, not only through individual and group counselling, but targeted interventions aimed at enhancing psychosocial resiliency and well-being. Over the past years, the UNRWA Community Mental Health Programme (CMHP) has moved towards the Mental Health Psycho-Social Support (MHPSS) model to provide a more holistic and integrated approach that extends beyond counselling. According to the report, counsellors help ensure that the children of Gaza are equipped with the life skills to succeed in life, working closely with teachers to reinforce problem-solving, interpersonal relationships, support for their peers, respect and tolerance for others, and self-care and stress management. In UNRWA health centres, CMHP psychosocial and legal counsellors provide comprehensive support, mainly to women, many of whom have experienced Gender-Based Violence (GBV), through individual counselling, group support, and relevant legal advice. In 2016, the CMHP supported 4,217 adults and 10,218 children through individual counselling, with an additional 1,425 and 8,710 benefiting from group counselling. Through public awareness and education sessions, over 80,000 parents and community members received information on a variety of topics including coping with stress, positive parenting and supporting children in distress, the report pointed out. PLO Executive Committee Member Dr. Hanan Ashrawi strongly condemned a recent demand, by Israeli Prime Minister Benjamin Netanyahu, to shut down the organization.